Visitors to Egypt are often surprised by the variety of types to be encountered in the course of the shortest stroll through Cairo streets. Already on landing at Alexandria or Port Said he will have observed the blue-clad porters at the docks, the uniformed port officials and, perhaps, the turbaned fishermen setting out to sea in their primitive sailing boats. On the way to the station he will have noticed the white-clad policeman directing the traffic and, from the windows of his Pullmann car, he will have seen, hard at work in the fertile fields, the peasant -"fellah" -worker who constitutes the backbone of the Egyptian population. Egypt inhabitants directly engaged in agriculture. Many of these are what, in other lands, would be known as peasant proprietors. Large landowners in Egypt are comparatively few. By far the greater part of the cultivable land is divided and sub-divided into small holdings and the fertility of the soil gives these tiny farms and fields a conside rable capital value. And yet -it is one of his striking characteristics -.the fellah is, in the main, a happy and contented man. He has his periodical relaxation, his periodical rejoicings. They coincide with the chief festivals of the Mohammedan calendar when all work is suspended, when sheep are killed and eaten, when cakes are baked and exchanged between neighbours. At weddings and other domestic celebrations he will spend with a lavish hand the money which at other times he saves so parsimoniously. On ordinary days the fellah's recreation is of the simplest. Storytellers are still in request at the modest coffee-houses which, in most villages, are the only "places of amusement", There, over a cup of coffee or milkless tea, villagers meet and discuss the events of the day, the state of the crops, the price of cotton and -a perennial topic in Egypt irrigation or drainage. But his traditional love would avail him little if the fellah's fund of farming knowledge were not accompanied by the unremitting toil of his hands. True, he has a fertile soil; but a very small plot of that rich earth must be made to yield sustenance for a whole family. True, he has a climate which seldom falls short of perfect: but his freedom from anxiety on that score and his independence of rainfall make of watering and drainage a constant source of preoccupation and labour. He rises at dawn and works until sunset. His food is of the most frugal nature and offers little variety beyond bread, lentils, beans and onions, His clothing is of the simplest: a blue cotton gown and a brown felt skull-cap. From early childhood when he is set to tend the cattle or help in the fields, the fellah's life is one of ever-recurring hard work, Of comfort in his home he has little according to western standards. 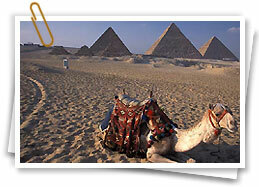 A picturesque figure of Egyptian life is the Bedouin of the desert. It may as well be admitted at once that the romantic "Son of the Desert" as depicted on film screens and in many popular novels is a figure which is more imaginative than real. Rather less glamour and considerably more common sense are more in keeping with any picture of the Bedouin as he really is. Nevertheless an element of romance does underlie the lives of the tribes who live on the fringes of the desert. Their customs and traditions, many of which date back to the days when their forefathers led a nomad life in the deserts of Arabia, are a most fascinating subject of observation and study. To quote but two instances: Bedouin women are not perhaps more favourable to warfare and fighting than are their sisters of the towns; yet when, as sometimes happens, a quarrel arises, between Bedouin villagers the women folk of both parties come out to watch the fray. This is because, in olden days man was thought to fight better when under the critical eye of his mother, sister or bride. Again, handed down from the days when marriage by capture was the rule, it is still 'part of Bedouin wedding festivities to place a padlock on the gateway of the bride's home. When the families concerned are wealthy the padlock is often made of solid gold. Bedouin hospitality is deservdly famous as anyone who has enjoyed it can testify. For the guest nothing is too good, nothing is too troublesome. And the Bedouin host manages to convey the flattering impression that the entertaining of his visitor is the greatest joy he has ever experienced. The stately garb of the Beduin distinguishes him at once from his fellow Egyptians. Rarely will he consent to doff his striking head-dress; even more rarely will he, abandon his hereditary privilege of carrying arms. He is very much an individualist and, in his lonely settlement, he expects and prefers to look after himself rather than to enjoy protection. beauty are concerned, with the film conception of desert life. 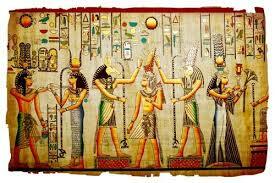 We now come to the Artisans and industrial workers of Egypt. 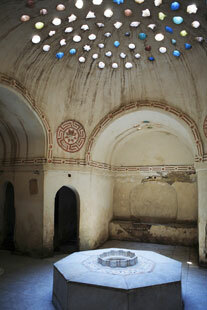 The former has always existed and many examples of his craft and skill may be seen in the Museums of the world. The latter is an element which has grown up during the 20th Century. So long as the entire Egyptian cotton crop was exported the cotton crop was a matter of agricultural interest. 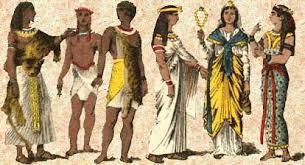 Now, however, Egypt spins and weaves a great deal of her own requirements in cotton goods. This and other enterprises of an industrial nature have created a category of factory workers. Their comparatively low numbers and their short span of existence have not so far created an industrial question, but a corporate spirit is already making itself felt and, in time, the Egyptian factory worker will doubtless become a powerful factor in the politics and economy of the country. At the present, however, he and the artisan lead very hard-working and frugal lives. Their hours of work are long, their leisure scanty and their earnings small. But here again, as was mentioned in regard to the Fellahin, they have the assets of a kindly climate, traditions of simple living and above all, a happy and contented nature. 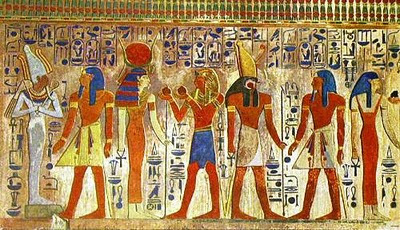 One has but to listen to the singing which accompanies every kind of "team work" to realise that labour to the Egyptian workman is more than a means of livelihood; it is a means of expression and an outlet for his sense of rhythm and co-ordination. Egypt has a large official and professional class and because its representatives have usually a knowledge of foreign languages, it is from them that the visitor to Egypt often derives his main impression of the Egyptian people. Such impressions are likely to be accurate for, as already stated, the difference between class and class in Egypt is more superficial than real. But it is of course natural and desirable that contact with and knowledge of other countries than his own should form part of the equipment of every educated Egyptian. In this respect Egypt is greatly favoured. Her own position as the centre of Islamic culture, coupled with her nearness to Europe, makes it possible and easy for her educated youth to assimilate what is best in those two civilisations. 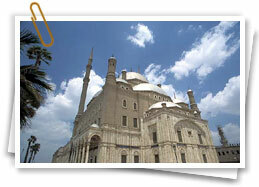 To speak two, three or even more languages is a commonplace among the official and professional classes of Egypt. Many of them, moreover, have travelled abroad and in addition to the contacts thereby made, there are those for which the numerous international congresses and meetings held each year in Egypt give ample opportunity. The speeding up of communications is likely to accelerate the rhythm of this conStant interchange of ideas, the result of which can but be advantageous to Egypt as well as to other countries. No sketch, however brief, of the people of Egypt, would be complete without a reference to the number of foreigners who have made Egypt their home. 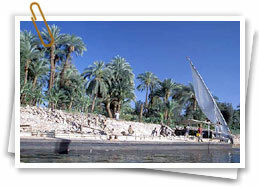 They have contributed ... very materially to the progress and development of modern Egypt. In return, they have found in their land of adoption, a hospitality and kindly tolerance of their beliefs and customs which has given them a friendly atmosphere in which to live, as well as the possibilities of success and prosperity. Egypt has no more sincere well-wishers than the foreign communities within her hospitable frontiers.